The Culture Conference is coming in 2020! We will be hosting opportunities for the community to gather in 2019, especially as 2020 approaches. We’re cooking up some exciting things, including more in-depth workshops with previous conference presenters to accelerate our learning as cultural leaders. We will send more info as these events are set - sign up below to get the latest updates! Interested in being an attendee at a future Culture Conference? Sign up to be alerted about conference + event invitations. Join the Newsletter to receive event announcements, resources and updates. We believe that the experience is only as good as the people in the room. Our intention is to bring together the highest caliber, most innovative leaders and good people that you would want to hang out with outside of work. We review applications to make sure that every single attendee and presenter who joins us will contribute to the most engaging, interactive, and inspiring conference you've ever attended on building culture within your company. Check out Highlights from The Culture Conference in 2018! The Culture Conference is a dynamic 2 day program to ignite the potential in who you are, how you lead, and the culture you create. Your experience will be full of meaningful connections, riveting ideas, revealing discussions, playful celebrations, actionable insights, and tangible tools. You will be learning from and with forward-thinking business leaders, including fellow founders, CEOs, executives, heads of culture, HR, and L+D. You will hear from engaging presenters who have been there and know what it takes to build a positive culture within organizations that are growing and changing everyday. A transformational experience like no other, together we will practice being the culture we want to take back to our companies and teams. Engaging - Avoid boredom at all costs! Our approach shifts attendees from being passive receivers into active participants. 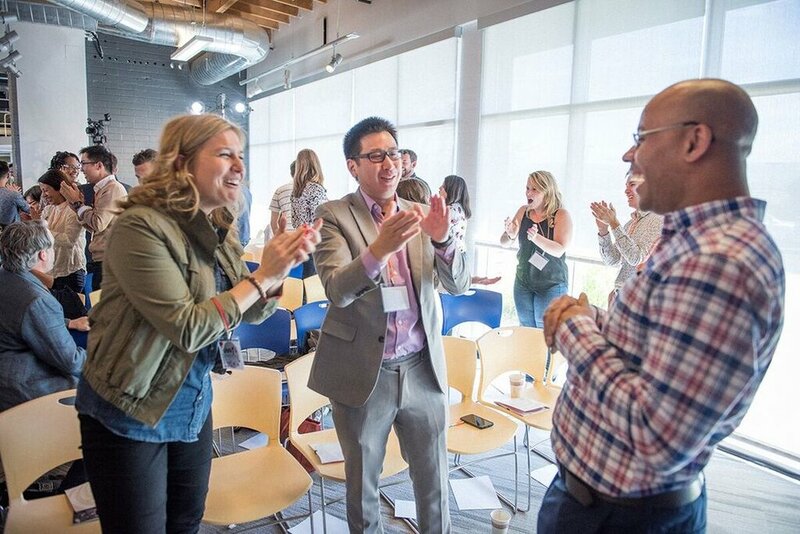 Interactive - Our attendees create as many new meaningful connections as possible so that everyone can actively learn from each other, creating deeper personal and professional relationships. Actionable - Instead of abstract concepts or theories, we focus on hands-on learning that is immediately tangible and practical. Fun - Everyone wants to have more fun! A playful approach helps breaks down boundaries between attendees, makes learning more enjoyable, and increases retention. 95% of job candidates believe culture is more important than compensation. “I knew that this conference would be more hands on but had no idea just how much. I saw more personal growth by the end of the first day of the conference than I have had in years. Not sure if you realize how powerful this is but I will be forever in your debt. This has changed my life." - Bradley Bezan, Founder & Executive Director, Spark Lifecare Inc. Thank you! You will receive emails every few weeks with culture related articles, events and resources, as well as updates on how you can be involved in the next Culture Conference!